The author of ‘Humble Inquiry’ is a professor of management and his expertise is in organisational culture. 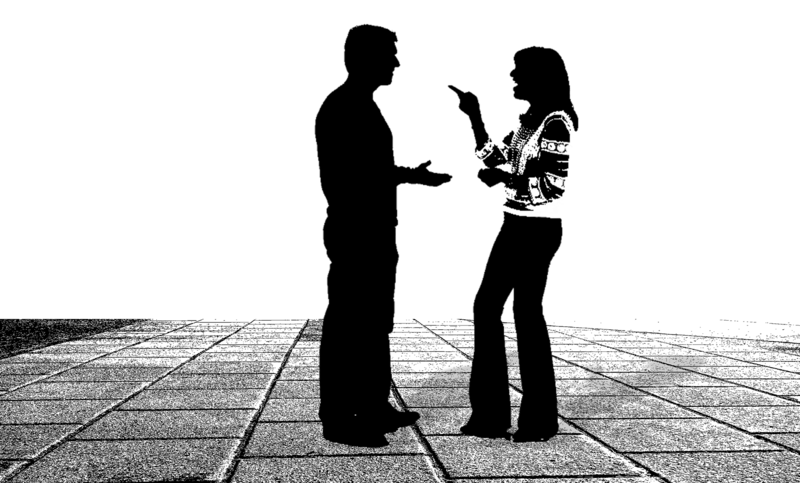 He discusses a major hindrance to effective communication, the tendency for people to ‘tell’ rather than ‘listen’ when they discuss task-related issues. This is a characteristic of even ordinary day-to-day conversations which ‘…tend to be defined by what we tell rather than by what we ask’ (page 3). He highlights how this type of communication impairs personal interactions and team performance. He also emphasises the danger it poses in high-risk organisations, including healthcare. The author highlights several settings where the ‘inability of superiors to engage subordinates adequately resulted in important knowledge remaining hidden and untold; information that may have prevented disasters’ (page 3). The author argues that the ‘need to tell’ prevents fostering of good relationships. ‘Telling’ puts the other person down (page 8) and inhibits trust building (page 9). This consequently restricts access to important information the other person, often subordinate, may have; information which is necessary ‘to get the job done’ (page 2). He says ‘…when we are in the telling mode, we hope to educate, to impress, to score points, to entertain…’ On the other hand ‘when we are in the listening mode, we want to be educated, impressed, and entertained’ (page 60). The author recommends the technique of Humble Inquiry to overcome the problem of the ‘need to tell’. He describes Humble Inquiry as ‘the fine art of drawing someone out, of asking questions to which you do not already know the answer, of building a relationship based on curiosity and interest in the other person’ (page 2). The technique is characterised by a humility that ‘shows interest in the other person, signals a willingness to listen, and, thereby, temporarily empowers the other person’ (page 10). It ‘derives from an attitude of interest and curiosity…and implies a desire to build a relationship that will lead to more open communication’ (page 19). It is ‘… behaviour that comes out of respect, genuine curiosity, and the desire to improve the quality of the conversation by stimulating greater openness and the sharing of task-relevant information’ (page 36). He advises practitioners to do less telling, learn to do more asking, and do a better job of listening and acknowledging (page 7). The author strongly argues the point that asking the right questions is more important than giving recommendations or advice (page 4). The author makes several references to healthcare. He tells how Humble Inquiry overcomes obstacles to effective functioning of teams (page 14) and how the technique improves doctor-patient relationships. He makes an important point that the questions most important in establishing relationships are personal rather than technical/medical ones (page 36). He discusses how Humble Inquiry restrains impulsive judgments (Chapter 6), and contributes to self-reflection, mindfulness and innovation (Chapter 7). Humble Inquiry is however a difficult technique to acquire especially as status increases. The reason for this is that ‘…in achievement-oriented cultures where knowledge and the display of it are admired, being …humble…implies loss of status’ (page 17). Organisational leaders who have the responsibility of creating the ‘climate of openness’ need to overcome this barrier as they are most in need of learning Humble Inquiry (page 4). The technique however has the potential to improve communications at all levels. Here is the author talking culture, leadership and humble inquiry, but don’t be lazy-read the book! ‘Humble Inquiry’ is a well-written and succinct book with valuable lessons for doctors, medicine and healthcare.The author tackles the topic like the experienced teacher he is. His approach, talking directly to the reader, is very effective; he mentions ‘we’ and ‘you’ very frequently. He reinforces his learning points by ending each chapter with a summary and ‘questions for the reader’. The medical anecdote he relates typifies the importance, in safety critical settings, of asking rather than telling. A hard as I tried I could find very little to criticise of the book; this entitled to to be my first book review. This is an excellent small book but with profound lessons in effective and safe communication. It also teaches a simple leadership technique. Its subject is relevant to healthcare and I strongly recommend it.